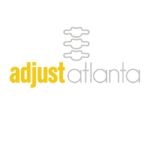 HomeBlogRoswell, East Cobb Personal Training and Nutrition – A+A Wellness amazing updates, one year in Atlanta! We can’t begin to express the overwhelming support we have experienced here in Atlanta, it has been truly phenomenal! Alex and I are so blessed and truly excited to be using our gifts to serve others. There is nothing that pays you back like the healthy lifestyle and coaching people to achieve this is soooo much fun! Where do I begin? After running our well-known facility in Tampa for almost 8 years it was a whole new ball game to start a new chapter in our new community. What an adventure! We came to this big city (Phew, I thought Tampa was big!) and what an AWESOME city full of rich history, culture and people. He and I really love it! Alex and I wasted no time getting plugged in to our local Chamber and publications. We were so anxious to meet new people and get our message out! We decided that we would serve the East Cobb, Roswell, Vining’s/Smyrna, Marietta and Sandy Springs areas. We have exploded and it has truly been a blast! We train out of several facilities in the middle of these locations so it is very convenient for our team. The past year has been full of learning curves and new growth but underneath it all is a firm foundation of loving (and appreciating!) what we do! Alex is still in school for his N.D. Degree (Naturopathic Doctor) and we are really looking forward to him completing his degree. Nutrition is by FAR his God-given gift to help others. Our web-based coaching program has taken off and we are helping people all over the world including Hawaii and Dubai. We have some truly heartfelt and touching testimonies of people getting so healthy and reclaiming control of their lives through nutrition. As coaches, it is a powerful thing to witness and reaffirms what we are doing. 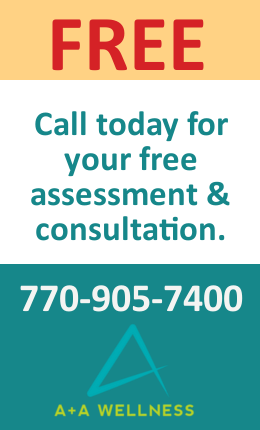 As many of you know, A+A Wellness offers so much for people looking to get healthy. We decided to focus our program on the overall “healthy lifestyle” coaching with a big emphasis on Nutrition. We started doing our educational shopping trips at our local Whole Foods and it took off! We are now offering FREE bi-weekly seminars at the store to educate the customers and our team. We really love Whole Foods (anyone who knows Alex and I knows this!) We are loving the regulars that show up to learn and share with us. I think my favorite part of what I do is helping to train people and exercise them to health. Alex and I are such a great team because he works from the inside with nutrition and I work from the outside with exercise. The fact that I have been there helps too! I remember starting my journey at 208 pounds and feeling like I had so far to go! It is amazing how healthy eating and exercise have changed my life and how God blessed me with this testimony to help others. Being able to “relate” to what people are going through makes a big difference. We are in the process of trying to get our own Clean Eating (Food/Fitness/Faith) television show (one of my clients is a Producer for a fantastic local Atlanta station!) and our first show premiers tomorrow (6/5) at 6:30. SO exciting! It will be aired on AIB TV (Channel 5 Comcast or Channel 6 ATT U-Verse ATL local station) so if you can tune in, please do! You can also watch online at www.aibtv.com no matter where you live … Eastern standard time. Let us know what you think. Coming soon to a kitchen near you! Whole Foods has been kind enough to offer us filming at the store too, God is so cool. It is awesome what He can do when you just tune in and listen for His guidance. Our training is always a hit and we are really branching out with in home training, one to one training and small group training which has exploded! We were pleasantly surprised with the receptiveness in this area for our program. In home training especially! I load up my wellness wagon and bring the motivation to your door, LOL! A+A Wellness is also now offering our Summer Boot camp sessions as well starting on June 28th! Every Saturday at 8:30 am so if you know someone (grab a group of friends!) who wants to have some FUN working out, invite them! We would love to see you there. I think the biggest blessing has just been our amazing team of clients! Each and every one is working so hard to reach goals and they are so supportive of us and our program. It is very rewarding to help people PROVE to themselves that “they can” … I believe that sometimes life gets so busy we start to lose faith that we can really be healthy amidst raising a family, busy schedules and work demands. It is a joy to show people it CAN be done! Needless to say, this has been an adventurous year full of awesome things! Hard to believe Alex and I just came to ATL one year ago this month. SO much has happened and we are thankful for all of it. Thank you for welcoming us and helping us to expand and grow in this fantastic city!! We love and appreciate you all!